Debates over wolf reintroduction, rewilding, and driven grouse rumble on. There is no doubt hunting, climbing, hutting, and Caledonian pinewoods have their symbolic aspects and their camps, but we need imagination and innovation to respond to the climate crisis. Traditionally human attitudes to wolves were tinged with fear and antipathy – for one thing, the animals were suspected of digging up the dead from their graves. Nowadays the rewilding movement has returned totemic significance to wolves . Is it the wolf that is really desired, or only the effect of the wolf pack as an agent of change? Rewilding is a prophesy in which the wild figure of the wolf plays the role of an ecological accomplice, harrying deer, reducing their numbers, strengthening the living herd, lessening the effects of browsing, fraying, and bark-peeling. No wild thing can answer our needs by meeting their own. In the relatively small tracts of wilderness that exist in the Highlands the presence of wolves would be controversial; reintroduction projects won’t happen any time soon and, as Doug Gilbert of Trees for Life says, if the concept of reintroduction gets bogged down in an argument between the pine planting tribe and red-faced landowners then it’s already lost. It was this political impasse, and pressing practical need, that inspired him to devise Project Wolf – an expedient in which people fill the niche of the wolf. If society refuses to accommodate real wolves then surely it has to recruit humandwolves in their place? For the past two years a pack of three people has patrolled the regeneration zone at Dundreggan in April and May, intercepting deer to protect saplings. 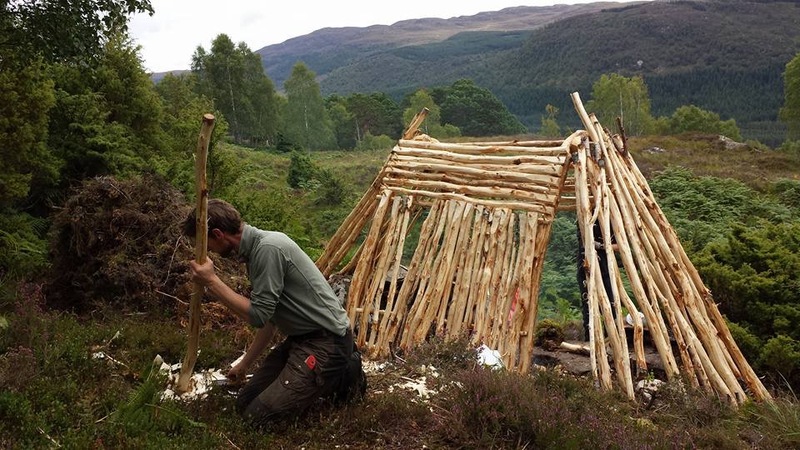 This summer Richard Bracken and I are building a den for the humandwolves’– he is doing all the hard work of building. It overlooks Creag a’ Mhadaidh, Wolf Crag, whose form we adapted for the design. Wolf-related names can be confusing. Of course, I was bound to translate the crag as the territory of wolves, but the source I consulted wasn’t so sure – the reference could be to fox (Madadh-ruadh), wolf (Madadh-alluidh), otter (Madadh-donn). The old lairds used to refer to their simple lodges as shiels, before shooting boxes and lodges came into fashion. Many of the grand Victorian buildings that followed are now roofless because their owners chose to avoid paying taxes. Some of the bothan that housed stalkers, deer-watchers, or shepherds have been repurposed as huts and mountain bothies. The glens are filled with shieling if you know what to look for. Considering the extent of hills and moors the Highlands are under-provisioned with accessible paths and dwellings. The old Fingalian culture of hunters and warriors – Ossian, Diarmid and Grainne, Fionn – long ago divided into two parties, lairds and hikers. Conflicts over whose thrills should be paramount are intractable. Lairdism still has the whip hand, but the pressure for change mounts every year. In terms of dwellings Scotland is denuded in comparison with Scandinavia or Switzerland, and it’s no coincidence that ecology is richer where huts predominate. The Mountain Bothies Association depends on the benevolence of landowners. Meanwhile the new Hutopians and 1,000 Huts Campaign press for land to be made available for folk who want a retreat of their own. Rachel Hunt sees bothy culture as a movement that is slowly transforming how people experience rural land. Scotland’s become stuck in an argument about land ownership. What’s really needed is for the right to care for a place to be added to the right to roam over a place. Where the right to own a place results in ecological degradation then steps should be taken to ensure that it is repaired, and it should be possible for communities to take on this work of repairing and enhancing the habitat mosaic. Huts and bothies are part of the struggle for ‘a continuum of civilized spaces for people and nature’, to adopt Andy Wightman’s phrase – but what is this continuum for? New huts are a relief from the knots of daily life. In The Cairngorms huts, bothies and lodges trace circles of occupation that offer themselves for new uses, updating the old shielings. The terms “leisure” and “recreation” fall short of what Hutopian aspirations say we are capable of whe we take to the hills. Must we always be visitors? 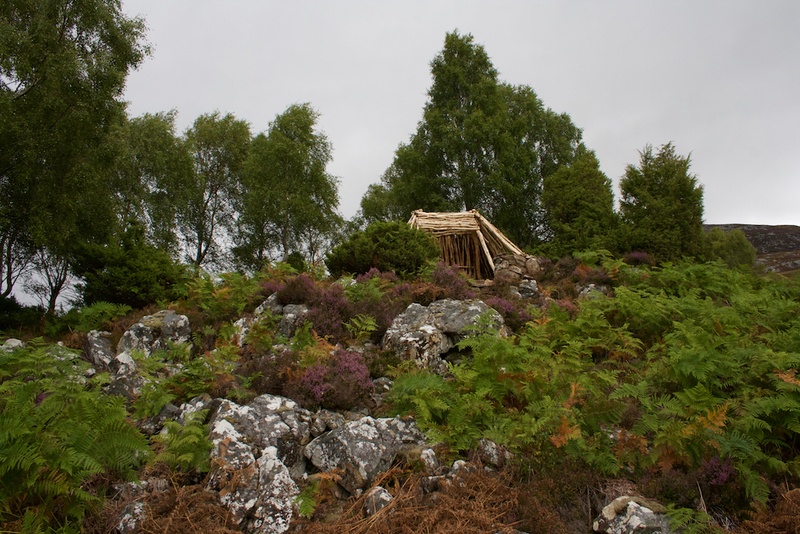 A hut on a patch of wild land can be a place of creative work, as The Bothy Project huts at Inshriach and on Eigg prove. 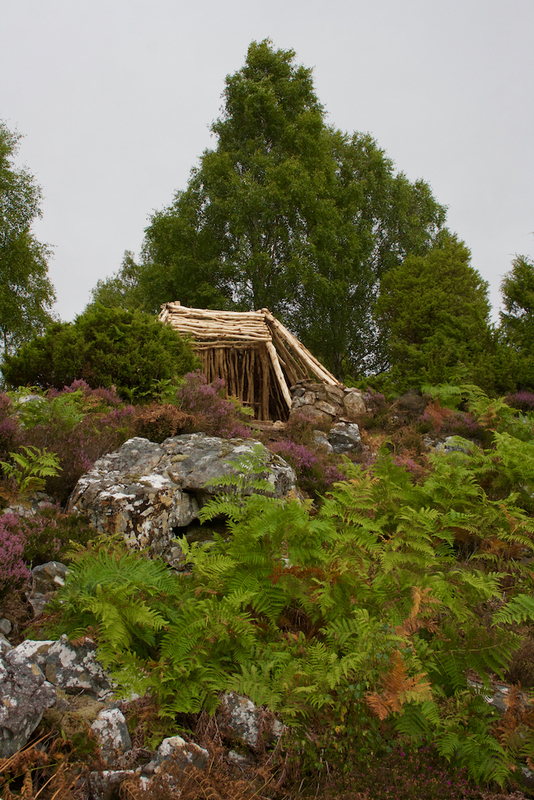 A hut can also make it possible to take care for the land, establishing a wee wood or croft garden – even if the deer take the greater share – and improving a habitat. Accommodation is the key to stewardship: more huts would allow care of the hill to expand. The quieter thrills of Hutopianism will, if allowed, edge out from climbing crags and hiker’s paths, and release people to dwell in juniper woods, heather moors, and the upper glens, reviving the imagination of what it means for these places to be lived in and cared for. Image 1: Humandwolves, Project Wolf, Dundreggan; photograph Mhairi Law, 2017, from a wolf among wolves a man among men, forthcoming from Common Ground. Image 2: . 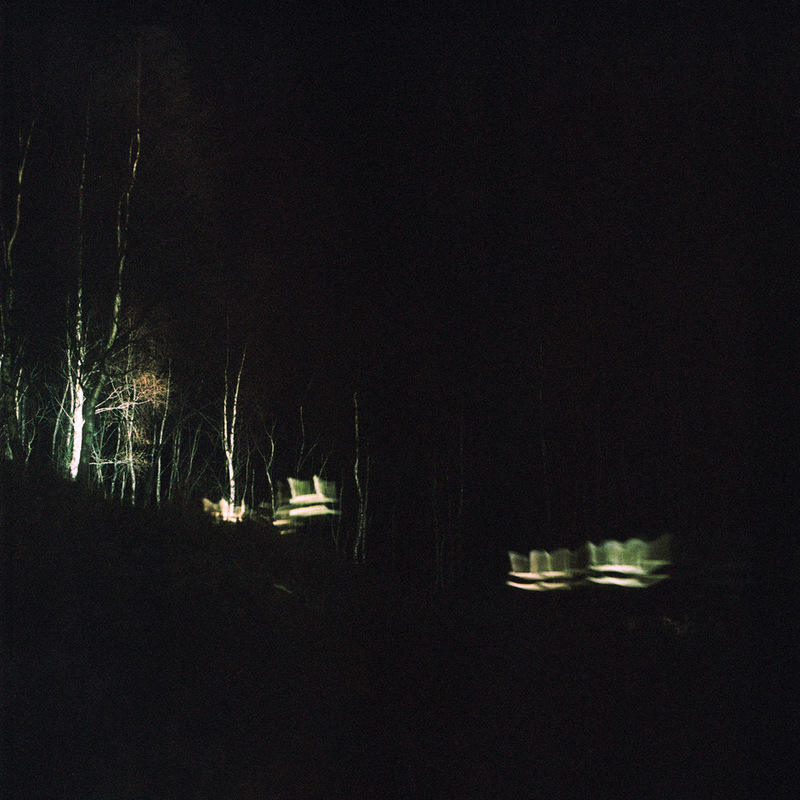 Humandwolf Den, Project Wolf, Dundreggan; photograph Richard Bracken, 2017, from a wolf among wolves a man among men, forthcoming from Common Ground. Image 3: Humandwolf Den, Project Wolf, Dundreggan; photograph Richard Bracken, 2017, from a wolf among wolves a man among men, forthcoming from Common Ground. Image 4: Humandwolf Den, Project Wolf, Dundreggan; photograph Joyce Gilbert, 2017, from a wolf among wolves a man among men, forthcoming from Common Ground. When departing a wild place there should not be any evidence of your presence, certainly not the remnants of trees (you got permission for doing that?) or a structure (ditto). “it’s no coincidence that ecology is richer where huts predominate.” The Higland ecology is richer where browsing animals are excluded or reduced in presence and where heather moorland is not burnt into a monoculture. The presence of huts has little to do with it. “it’s no coincidence that ecology is richer where huts predominate.” The ecology is richer where browsing animals are excluded or reduced in presence and where heather moorland is not burnt into a monoculture. The presence of huts has little to do with it. Good, thoughtful piece, thank you. Just hope the National Park Authorities don’t run with the idea: humanbears to scare off any campers who dare to pitch a tent by Loch Lomond! At bottom rewilding is biology not performance art, and in a biospheric sense, the carbon footprint of humans acting like wolves clearly rules out the whole notion. These people will all perform their “ecosystem” services using a supply chain based on fossil fuels. So this milieu and its context are difficult to change or uproot. Well, so be it and let’s not do violence to the very coherent and sound theory of rewilding because we humans can’t take collective responsibility. “Be realistic, demand the impossible”.